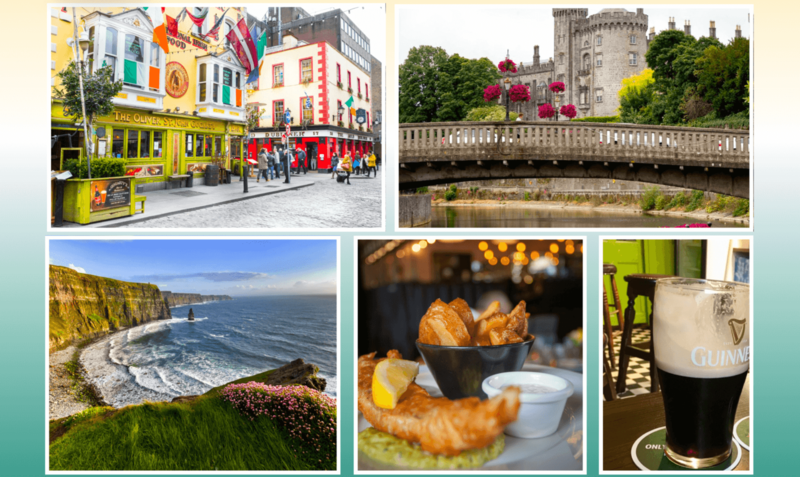 Join Charlie for Pints, Pubs, Castles & Craic! This is an exclusive travel program presented by InterTrav Corporation. • Taxes for included ground services and U.S. departure taxes, Customs service charges, airline security fees, and fuel surcharges. Items of a personal nature such as passport fees; laundry and cleaning; telephone calls; optional tours and excursions; tips to the Driver/guide and local guides, tips to hotel and breakfast room staff; luggage handling at airports; travel protection; meals other than those stated above, and drinks with meals other than breakfast. 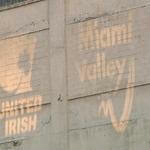 The influence of 34.6 million Irish-Americans is felt everyday through every aspect of American life and culture. “Ask not what your country can do for you, but what you can do for your country.”. JFK. Happy St.Patrick’s Day to all our wonderful customers; could not do it without you. Irish Tweed Caps get their distinctive colors and patterns from the landscape of Ireland’s most northerly county, Donegal. It is the beauty and quality of the fabric that makes Donegal Tweed special, and so sought after internationally. The colors match the patterns seen from the cottage window: of turf and hill and fuschia, of sea and cloud and sky. Anyone who has spent time in Donegal will know just how changeable the climate can be. Four seasons in one day are not uncommon, even in midsummer. Tweed caps became the perfect headwear for those working outdoors, trapping warmth head and waterproofing the wearer. The customary process of making it is unlike any other, resulting in a signature color-flecked weave. Woven from woolen spun yarns, it is characterized by its plain weave structure composed of uneven slub yarns contrasting with the ground color. Traditionally, the woman of the house spun the yarn from the family sheep’s wool and the husband then weaved the spun wool. The original patterns were a black and white herringbone when the colors were limited to the colors of the sheep’s wool. With blackface sheep, the weaver used whatever mixture they could make from that to make a black and white or grey and white pattern. And it is these colors, and the individual colored flecks, that give Irish Tweed Caps their characteristic classic design. With the introduction of dyes the tweed took on a range of new and very distinctive colors. Children would gather the colors locally from the Irish landscape to dye the wool: purple blackberries, orange lichen, yellow gorse and the plentiful red fuschia that is such a distinctive summer feature of the Donegal countryside. The dyes were brewed by heating the plants and lichens in a large cooking pot on the household turf fire. This was then allowed to cool before the pure new wool from the household sheep was steeped. Come October, the farmers would come in from the fields to stretch the white yarn the length of the loom frame – known as warping the loom. Then fine-tune the shuttle that would weave a contrasting vertical yarn – the weft – across the warp. Traditional wooden handlooms differ only slightly in design and operation from those used in biblical times. The loom is operated manually and the weaving may be described as passing the horizontal threads – the weft – through the warp by means of a shuttle. Thread by thread and row by row, the weft is eased into place. The complicated permutations of color and design are coordinated and interpreted as the weaver proceeds. The warp is the first step in arranging the various colors to form a foundation upon which the weaver will, with almost magical skill, produce the pattern. It can take even the best weavers up to half a day to draw 1000 threads through the reed to form the warp to the age-old pattern. However, a good weaver – seated at a bench attached to a wood loom, coordinating hand and foot movements – could produce up to thirty yards of fabric a day. Hand-weaving is a skill that has been passed down through generations. Many families lived by both the hand-spinning and hand-weaving of cloth in their homes, then selling their unique family product at the local tweed market. In many parts of Donegal hand-weaving is still practiced in the very same way as it was over 200 years ago. In Donegal it is a hereditary skill that has passed from generation to generation over many centuries. It is one of the few survivors of the ancient craft, which now serves the modern world. Women of Easter Week 1916. The following, in her own words, are the recollections of Moira Regan who was in the GPO, Dublin, during Easter Week 1916. A member of Cumann na mBan she was one of the Women of Easter Week 1916. “But late in the afternoon we got word from the Commandant that we might disperse, since there would not be any street fighting that day, and so our services would not be needed. The place where we were mobilized is three or four blocks from the Post Office, and we could hear the shooting clearly. There were various rumors about—we were told that the Castle had been taken, and Student’s Green and other points of vantage. And at last, as I said, we were told that there would be no street fighting, and that we were to go away from the Broad Stone Station and do what good we could. “On my way to the Post Office I met a friend of mine who was carrying a message. He asked me had I been inside, and when I told him I had not, he got James Connolly to let me in. “I didn’t stay at the Post Office then, but made arrangements to return later. From the Post Office I went to Stephen’s Green. The Republican army held the square. The men were busy making barricades and commandeering motor cars. They got a good many cars from British officers coming in from the Fairy House races. “The rebels had captured many important buildings. They had possession of several big houses on O’Connell Street near the Post Office. They had taken the Imperial Hotel, which belongs to Murphy, Dublin’s great capitalist, and had turned it into a hospital. We found the kitchen well supplied with food. We made big sandwiches of beef and cheese, and portioned out milk and beef tea. There were enough provisions to last for three weeks. “That was Wednesday night. On Thursday we thought we’d have another try at the Post Office. By devious ways we succeeded, after a long time, in reaching it and getting in. We found the men in splendid form, and everything seemed to be going well. But the rebels were already hopelessly outnumbered. The Sherwood Foresters had begun to arrive Tuesday night, and on Wednesday and Thursday other regiments came to reinforce them. Now, a division in the British Army consists of 25,000 men, so you can see that the British were taking the rising seriously enough. “The Post Office burned all day Friday, and late in the afternoon it was decided that it must be abandoned. First Father Flanagan, who had been there all the time, and the girls and a British officer—a Surgeon Lieutenant, who had been doing Red Cross work, were sent to Jervis Street Hospital through an underground passage. Then all the able-bodied men and James Connolly (who had broken his shin) tried to force their way out of the Post Office, to get to Four Courts, where the rebels were still holding out. They made three charges. In the first charge O’Rahilly was killed. In the second many of the men were wounded. In the third the rebels succeeded in reaching a house in Moor Lane [Moore Street] back of the Post Office. There they stayed all night. They had only a little food and their ammunition was almost exhausted. So on Saturday they saw that further resistance was useless, and that they ought to surrender, in order to prevent further slaughter. “There were three girls with the men. They had chosen to attend Commandant Connolly when the other girls were sent away. One was now sent out with a white flag to parley with the British officers. At first she received nothing but insults, but eventually she was taken to Tom Clarke’s shop, where the Brigadier General was stationed. Tom Clarke was a great rebel leader, one of the headquarters staff, so it was one of the ironies of fate that the General conducted his negotiations for the surrender of the rebels in his shop. “There are a few things,” said Moria Regan, “that I’d like everyone in America to know about this rising, and about the way in which the British officers and soldiers acted. When the rebels surrendered they were at first treated with great courtesy. The British officers complimented them on the bold stand they had made, and said they wished they had men like them in the British Army. But after they had surrendered they were treated in the worst possible way. They were cursed and insulted, marched to the Rotunda Gardens, and made to spend the night there in the wet grass. They were not given a morsel of food. The GPO after the Rising. This photo accompanied the original article. “The treatment of the prisoners in the jails was horrible. Many of the men arrested were not at all in sympathy with the Sinn Fein movement. The British arrested every one who had advocated the restoration of the Irish language, or had lectured on Irish literature, or had worked for the cause of Irish manufactures—they arrested every one, indeed, who had been conspicuously associated with anything definitely Irish. “In one small room eighty-four prisoners were kept for two weeks. For two days they were not permitted to leave the room at all for any purpose. For thirty-seven hours they were without food. Then some dog biscuits were thrown in among them and they were given a bucket of tea. Later they were taken out of the room once a day. All their money was taken from them, but a few of them managed to hide a shilling or so, which they used to buy water of the soldiers. “After the court-martial they were taken to Kilmainham Jail. There they were put into the criminal cells, without even plank beds. I went to visit one of the leaders, a particular friend of mine, and there was in his cell a blanket and a coverlet—nothing else at all. 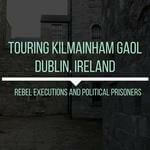 “The prisoners were shot in the yard of Kilmainham Jail. Then the bodies were taken, in their clothes, outside Dublin to Arbor Hill Barracks and thrown into quicklime in one large trench. In every case the bodies were refused to the relatives of the dead men. So here it is, just in case you wanted to see it again 🙂 Shane Long scores for Ireland against Germany at the Aviva Stadium in Dublin. Ireland later qualified for the Euro’s in France 2016 by beating Bosnia-Herzegovina in the play off. Well done lads. In the words of that great old Irish rebel song “We will march with O’Neill, to an Irish battle field, we will go to fight the forces of the crown”. This time the Irish will be playing to be crowned Kings of European football. And you heard it here first. Ireland will get out of the group and move onto the last 16. Having been drawn against Italy, Sweden and currently world ranked #1 Belgium, it will not be easy for Ireland. However, Belgium are a collection of great players, but I suspect not a great team. Ireland are the polar opposite, they have no superstars, but they have a terrific work rate and team spirit. With Ireland, the whole is greater than the sum of it’s parts. Ireland has been drawn against Sweden in the first game and I think the Irish can get a win. Yes, Zlotan Ibrahimovic is excellent, and will be an obvious threat to the Irish defense, but at 34 he is no spring chicken. The Irish work rate and team spirit should carry them through to a win against Sweden. Given the unique nature of international tournaments, with only 4 teams per group, a win in the first game will put Ireland in a terrific position going into the games against Italy and Belgium where draws (ties) should be enough to see Ireland into the next round. O’Neill has already proved Ireland’s approach and tactics will be very different from the overly cautious Irish team under Trapattoni. Having watched Martin O’Neill guide his men through a very tough qualifying group consisting of Poland, Germany, Scotland and Georgia, I am sure he will navigate his team to the last 16 in France. We beat the World Champions Germany, so we can beat anyone. Get in there lads !!!! An Gorta Mor was not an “Irish Famine”. Thank you to Father Sean McManus of the Irish National Caucus for bringing this article to our attention. Thank you to Michael Nicholson for highlighting the topic in his new book and thank you to the Irish Times for reporting on the issue. An Gorta Mor was not an “Irish Famine”. Britain’s most decorated reporter set out to write a Famine novel to restore England’s reputation but the facts confounded him. He tells how Trevelyan earned his scorn. Michael Nicholson: Almost all I have written happened in real life. I have exaggerated nothing. There was no need. The truth is appalling enough and if the reader finds the descriptions of people, events and their outcome hard to believe, then go to the history books and be convinced. “A million dead. A million fled.” It was those few words that had such an impact on me. Think of it. Try to visualise. Try putting it into a modern context, something happening today, something you are watching on television news, an apocalyptic disaster on an unheard-of scale, something that dwarfs Hiroshima. A million dying because a foreign blight had turned a potato crop into rotten, stinking, putrefying mush. Try to picture families of living skeletons whispering their last prayer in the shelter of a ditch as they watch others turning black with the fever that spread like a summer fire across bracken from Skibbereen to Donegal, from Wicklow to Clare. Imagine another million, still untouched by it, desperately fleeing their motherland to find safety and sanctuary anywhere and with anyone who would take them. This was Ireland in the Famine years. As a foreign correspondent for ITN, travelling the globe for more than 30 years, I reckon I have seen more than my fair share of man’s inhumanity to man. It is said that we reporters suffer from an overdose of everything, saturated as we are in the world’s woes. In places like Bangladesh, Sudan, Ethiopia, Rwanda, I became used to dealing in numbers; the dead and dying in their hundreds, or in their thousands, even their tens of thousands. But a million corpses in a forgotten corner of what was then the world’s greatest and wealthiest Empire is inconceivable. Dark Rosaleen is the story of murder and betrayal, of a starving people held captive, of a failed rebellion and a love that grew out of it during those years of the Great Hunger. In 1845, when the potato crop failed yet again, the British government sent a commissioner to Ireland to oversee the distribution of food aid. In my story his spoilt, overprivileged young daughter Kate is obliged to go with him to what, in her tantrums, she calls “this hateful land of saints and savages”. In her first few months, isolated in her father mansion overlooking Cork, she cares nothing for the suffering outside. Then the scale of the disaster gradually overwhelms her and her selfish arrogance turns to pity and anger. Finally, despairingly, she turns against both her father and her country. She is condemned as a traitor when she joins the rebellious Young Irelanders in their fight to end British rule. You might think this would have been better written by an Irish author rather than an Englishman. I had a reason. At the start, my intention was to defend the government of Prime Minister Peel, to illustrate the immense physical and political problems trying to feed a starving nation across the Irish Sea. My mindset was that we English had been badly judged, that both England and Scotland were also suffering from the ravages of the blight, that communication between London and Dublin was slow and unreliable, that transporting food aid to the hinterland was a massive problem. In short, I thought there was good reason to reduce England’s blame. I had read the famine novels of Liam O’Flaherty and Walter Macken, and was moved by their simplicity and pathos. I had listened at length to Ireland’s historical grievances in Dublin and Liverpool, in Cork and in Boston, Massachusetts, wherever Irishmen gathered over a pint of porter or a Jamesons. They spoke of a deliberate policy of imposed starvation, of land clearances, of ethnic cleansing, of exporting Irish peasants in coffin ships that might never reach the far shores of the Atlantic, and all this said as if it was proven historical fact. Given an Irishman’s well-known considerable verbal licence I was happy to persuade myself that much of it was exaggerated blarney. But as I ploughed even deeper in my research, my characters took over and my storyline went into reverse. It was if I was a prosecuting counsel who had his side changed midway. I was a convert and I ended up with a novel I had not intended to write. Kate is my heroine and Sir Charles Trevelyan, the government’s director of famine relief, is the villain. This is his real name and all that he does and says in my novel is as they appear, word for word, in the historical records of the time. I make this point because so much of what he said and did is barely believable. Trevelyan was guided not by any agreed government policy because there was none. He was guided by God. A pious, stubborn, uncompromising, devout evangelist, he saw the blight and the suffering as an act of Providence and to deny it was tantamount to blasphemy. The Anglo-Irish landowners, who considered the Irish peasants vermin, were loud and constant in their support and applause. Here I must end this historical explainer for fear you will think my novel is yet another academic heavyweight. But against this background is the sequel, the story of Kate and the man who loved her, based on John Mitchel, leader of the rebellious Young Irelanders, the forefathers of Sein Féin. Kate rode with them as they preached their revolutionary gospel, as they attacked the landlords, set fire to their estates, ambushed the Redcoats and stole from the rich to feed the hungry. She became the legendary Dark Rosaleen, named after a banned nationalist poem by James Clarence Mangan. In order to turn history into a novel, an author is obliged to dramatise, to put words into mouths that might never have been spoken, to lay blame that perhaps was not entirely deserved. My heroine and her revolutionary lover may not have existed as I portray them. But some part of them will have lived those times and helped forge those times. Nothing in my pages, not the people nor the lives they lived, is wholly fictional. Almost all I have written happened in real life. I have exaggerated nothing. There was no need. The truth is appalling enough and if the reader finds the descriptions of people, events and their outcome hard to believe, then go to the history books and be convinced. Michael Nicholson is one of the world’s most decorated journalists, reporting from 18 different war zones over a 45-year career. He was Senior Foreign Correspondent for ITN for ten years, recipient of three Royal Society Journalist of the Year Awards, one BAFTA, the Falkland and Gulf Campaign medals, and an OBE for Services to Television. Dark Rosaleen – a famine novel, is published by The History Press Ireland. So here we go again. We had the Good Friday talks, the St Andrews Talks,the Hillsborough talks, talks on Policing and Justice, the Haass talks, then in July Unionists walked out of the talks that followed the failure of the Haass talks. And of course there were talks about talks. It’s never ending. Now we have more “all party talks” and bi-lateral talks, and North-South talks. The British, Irish and US governments are all sending representatives, like school teachers managing an unruly class of miscreant kids. At least half of the class seem to be slow learners. This time, on top of the Haass agenda of Flags, Parading and the Past, are added the issues of Welfare Cuts, Budget issues and even the Re-structuring of the Government Institutions themselves. No one should harbor raised expectations of major progress. Especially with the DUP now attempting to frame the discussions as “front loaded” with issues they want to talk about. Issues such as Welfare Cuts, the Budget and Institutional reform. The DUP now seem to be serious about radically restructuring governance at the Assembly with Peter Robinson recently describing the mandatory coalition arrangement as “not fit for purpose”. But Sinn Fein, are very unlikely to move on Welfare cuts as their core constituency is set against such a move. Also, the success of the talented socialist Paul Murphy and the Anti Austerity Alliance in the recent Dublin (South West) by-election will have the SF strategists diligently guarding against attacks from the left. This ensures SF will probably not move on the Welfare and Budget issues. Additionally, any push toward re-constituting the Assembly will be viewed with great suspicion by CNR (Catholic, Nationalist, Republican) community. There can be no possibility of a return to Unionist rule. Furthermore, SF will be concerned that the DUP and Peter Robinson cannot be trusted to keep their word in negotiations. They will remember the “Letter from America”, when Robinson failed to complete a previous deal on the Maze / Long Kesh site. Then there is the recent Assembly Speaker post, where the DUP patently failed to keep it’s word on a long standing deal whereby a SF speaker would follow the retiring DUP speaker. Several observers argue by acting in this way the DUP have politicized the role of speaker and thereby damaged the democratic process. Consequently, it is unlikely SF will trust the DUP enough to agree to anything in the front end of the talks, unless and until everything is agreed, including the Past, Parading and Flags. This is all too much to achieve, and we have traveled this road to no effect several times before. 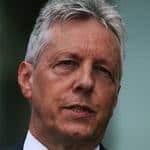 Throw into this mix internal divisions within the DUP, with the hard liners probably restricting Peter Robinson’s ability to move and you begin to get a sense of the task at hand. Robinson referred to the opening of the latest round of Northern Ireland Talks as a “circus” and refused to attend on the opening morning. The DUP offered the attendance of the Irish Government as the excuse. A move no doubt prompted hard line elements in the DUP. With the DUP strategists guarding against any attacks from the TUV, the party is being pulled further to the right, far from the center ground where the only prospect of accommodation lies. On the up side, some progress could be made on “flags”, with an agreement on “no flags on arterial routes” seemingly the easiest fix. But no guarantees there either. Dealing with the Past, Parading (Ardoyne), the Budget, Welfare cuts and restructuring of the institutions are simply not going to get resolved by these two parties at this time. The Newsletter is a leading Belfast newspaper with a predominately PUL (Protestant, Unionist, Loyalist) readership. Today they ran an online poll on the current round of Northern Ireland talks, the poll has garnered over 2,000 responses so far. While online polls are a weak barometer, it is interesting to note 55% of the respondents feel the Northern Ireland talks will end in failure. A further 25% said they do not care. That means a huge 80% of respondents feel the talks will fail or they don’t care if they fail. That certainly points to a failure, not of the peace process, but the political process. With failure a real prospect, the question will quickly become, what are the consequences of political failure at the Northern Ireland talks? The answer is simple, by name it will be known as Direct Rule, but in reality it will be de-facto Joint Authority. In other words, the British and Irish governments will meet regularly and jointly administer the territory. It’s an intriguing prospect, one in which Unionists will no longer be able to block initiatives such as the Irish Language Act. But we will have to talk about that another day. A video short about CelticClothing.com and how we supply Irish Gifts to the US market. It’s fully interactive so share it on social media, sign up for coupons, discounts etc.